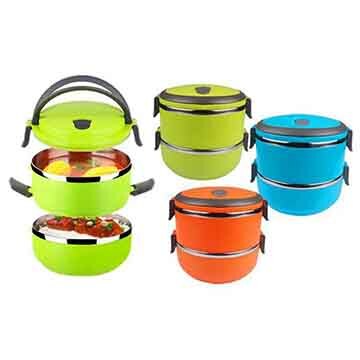 1.Lunch box is made of food-grade materials and high quality stainless steel.Non-toxic,tasteless,health and saffety. 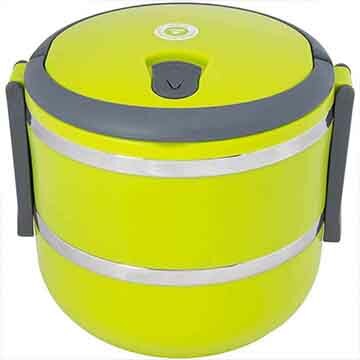 2.The lid with extended fastening design,close the lid and box body fastening,no leaking no sprinkle,easy to carry. 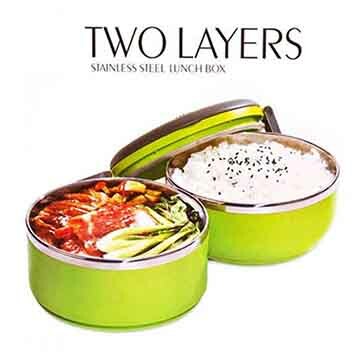 3.Box identity layer design can seperate out the food in the two layers,effectively prevent odor. 4.Arched handle,more covenient to carry.